The Forex Optimum company was created in 2009 to become innovative and advanced online broker, offering clients the most modern and high-quality services, unique and the most favorable conditions for the partners of the company on the market. Learning on experience of other broker companies and being guided by the needs of modern trader, ForexOptimum created hi-tech services with unique products. Forex Optimum is a team of professionals, who gathered to unite the ideas and use the experience of the largest finance companies to create the broker of new generation with essentially new approach for work in the Forex market. Premium and VIP account status owners get accumulative bonus up to 26,8% into their trading account balance monthly. Making trades even using a conservative strategy you can get 2% real cash bonus every month. Every time depositing your account you get bonus as much as 25% from the amount of your deposit. 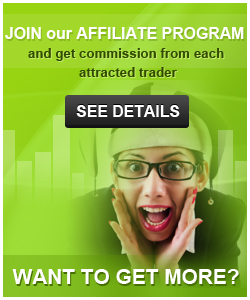 Bonus allowes you to increase the profitability of your trading using for the same initial investment. 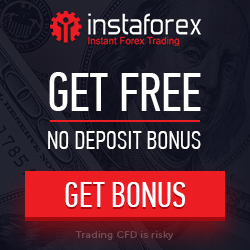 Moreover in condition of active trading you will be able to cash out your bonus intoreal balance. Bonus can shall credited for deposits from $100 and more. Competition accounts can take part in bonus promotions. The table of winners with live status is updated every 24 hours in the client’s personal cabinet and on the website page. 2. Contact ForexOptimum to have the funds transferred from your old account to the new one. I like that there are a lot of cryptos on forex optimum and there's a cryptocurrency account with a minimum of 1mbtc. I personally trade crypto there quite well. The leverage on the cryptocurrency account is 1:500 and you can trade with any available assets. There's a cent account for newbies with the min deposit of 10$. You can trade only currency pairs on the cent account. This broker has tolerable spreads, the trading terminal is convenient. But why does this broker offers the main bonuses only to the vip clients? It's not fair. Optimum withdraws profit even faster than it promises. After trading on forex optimum for a while, I can say it's a good broker. It provides everythings necessary for trading and complies to the terms. Optimum has floating spreads and they start from 1,2 points, there are more than 100 assets for trading. I haven't noticed any slippages yet. It has enough crypto (more than 20 currencies), but the spreads for crypto are too high in my opinion. I know perfectly well that one shouldn't trade when nervous, but I couldn't restrain myself and lost a lot with the crypt. Of course, Forex Optimum has nothing to do with this. Who prevented me from trading with a stop-loss? Well, it's a fine broker in general. It does everything published on a website. You just need to understand everything. This broker has a lot of assets and a good leverage. The minimum deposit on a standard account is $300. I can tell about Forex Optimum only what I know myself, because I trade there. There is nothing special about this broker. It does everything it should. The main thing is that funds withdrawal is done quickly and doesn't create obstacles. Some points such as floating spreads or a minimum deposit on a VIP account can be criticized. But the broker performs its basic tasks. Spreads are floating, but narrow and quite bearable. There are standard, cryptocurrency and cent accounts. There's enough analytics for trading well. I've been trading with optimum long enough to see that it's a realiable broker. I like trading here cause the conditions are really good. Fast order execution and low spreads are definitely helpful and make trading easier. Money withdrawals are never delayed. The support team are always helpful and fast. I trade binary options with the broker. Here I have good conditions with options, and the broker itself's been working since 2009. The broker's age lets one know that this broker can be trusted. I trade with this broker regular. There are about 70% of my capital for trading in Forex here. No wonder I trust this broker - for the first 9 months of trading I am convinced of his reliability and accountability due to honest payments, as well as excellent support and good trading conditions.